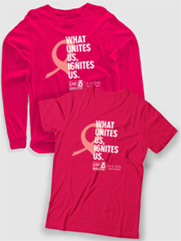 Each year, hundreds of UFT members, along with their families and friends, stand united in the fight against breast cancer. 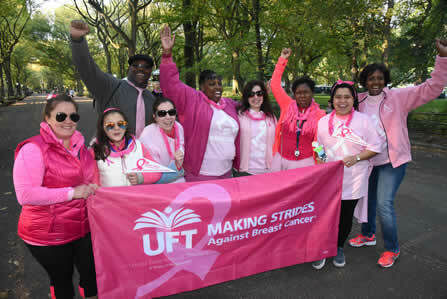 At Making Strides against Breast Cancer events in all five boroughs and on Long Island, UFT members walk to honor and remember loved ones, support survivors and raise money for a cure. 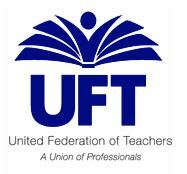 The UFT and its state affiliate, NYSUT, raise more than $1 million each year for breast cancer research, advocacy and patient services at the Making Strides walks,. Please join us this year as we walk for a cure!